Everything PR News’ series interviewing the world’s top industry leaders continues today in a talk with Jim Weiss, Chairman & CEO of WCG, one of the world’s most influential communications agencies. We caught up with Jim some weeks ago, but maintained an ongoing dialogue to present this insightful Q & A. Weiss, a corporate communications legend of a sort, fielded questions about his agency and the “now” of digtial communications engagement. By way of background, WCG is currently 6th on O’Dwyer’s list of PR firms with earnings in excess of $37 million. Even more interestingly, the company’s growth exceeds all other major players at just below 38% over 2009. Weiss’ company specializes in many fields, but is best known for their work in healthcare, consumer products, and technology. Weiss, as it became ultra apparent in our discussion, is a born leader. The team he has assembled is perhaps one of the most fascinating aspects of WCG, but it is also easy to see the team derives much of its energy from its highly charged leader. WCG, a W2O Group company, has locations in San Francisco, New York City, Austin, Los Angeles, Minneapolis, Boston, Atlanta, Chicago, London, and three more. They employ nearly 500 people between their four entities. When the company was founded in San Francisco in 2001, their clients were primarily in the specialty Pharma, biotechnology, and device company sectors – mainly located on the West Coast. Their expansion has been through buying firms in other locations to increase their reach and types of skills available to clients. WCG also owns W2O Center for Social Commerce (Syracuse University PR Department), Twist, and BrewLife. Some of their well-known clients include P&G, CVS Health, Cephalon, Allergan, and HP. Weiss was named a top 25 innovator in communications in 2014 and ranks among the top 500 most important people in Global PR (2015). He started his corporate career working at Genentech in South San Francisco during the early 1990s. In those corporate years, he worked with sales, investor relations, marketing, and communication functions. He lives in the Bay Area of San Francisco with his wife and two children. EPR – Jim, I could not help but note something interesting this morning. In doing some background for this interview I ran across your Common Sense blog, where you utter the phrase; “..Age of Integrated Communication” – not very many leading communications CEO’s would use such languages freely, to be honest. My question is, how important is “integrated” messaging and conversation to your company? EPR – It takes a lot of resource to “actually” engage in this digital conversation Jim, why do you think so many traditional companies took so long to engage the so called Web 2.0 realm? Are they just cheap? Were they waiting to see if social media died? Jim Weiss – The primary reason here is; most companies and firms become victims of their own success and therefore do not want to fix what they perceive is not broken. Change can be very hard, disruptive, and in many cases expensive, firms only need one reason to stay on course, three can doom any chance of progress in some cases. Look at how long it took for the media/newspaper industry to realize digital, social and online engagement would decimate and ultimately transform their industry. New media brands were born, and others were simply strong enough to survive and now thrive. But, if there is only one key lesson to be learned, the film “The Social Network” reveals the rise of Zuckerberg and Facebook came about because of timing, speed and constant change are essential for survival. I think some were, and still are, waiting for the social-digital media craze to subside or even for the bubble to burst. In reality though, the trend will evolve rather than die out, things will never be the same again – so why fight it? We have to face and then begin to operate in a new reality. 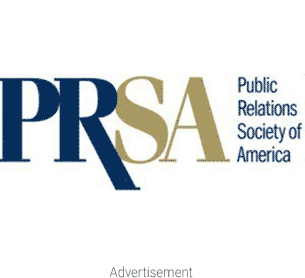 EPR – Your agency was named Digital Agency of the Year, by the Holmes Report? Fully 40 percent of your staff is in some realm of digital footprinting (my term) – you obviously believe the web (mobile too) has special significance. Can you elaborate your vision for the next five years Jim? A crystal ball, if you will? Jim Weiss – Forget the next five years. In less than three years we won’t be writing, designing or created for the printed world first, but instead for the digital world. If it doesn’t work online, then communications just won’t work period. In fact, this may already be the case. Content has to work online first and foremost in terms of shareability, searchability, navigability and engagement wise. TV and all other traditional media will soon be computer and wireless enabled, increasingly interactive, not to mention elegantly intuitive. Here at WCG, we have reorganized our company and will be hiring and developing new business offerings with this in mind. Brands and companies will become their own media and commercial outlets providing relevant content for selling products and services directly to their customers. They will use other media to drive customers to their social and ecommerce sites increasingly. Technology, strategy and engagement will trump traditional creative in terms of what firms like ours should offer. Clear and direct business and financial impact will be the primary measurement tool clients use to gauge success, the timelines for success will also become shortened and more critical. EPR – WCG’s Chief Technology & Media Officer, Bob Pearson just recently released what many feel is a very important book – Pre-Commerce: How Companies and Customers are Transforming Business Together. Looking inside the cover at Amazon, and monitoring what is being said about the book, it seems clear that you guys have a very progressive and positive vision going forward. The book is very deep, but what seems significant to me is Pearson’s idea of companies and customers building something game changing. My question is; Are we on the edge of real truth in advertising, engagement, client-customer (people-government) cooperation here Jim? Jim Weiss – Yes, in my view Bob’s book is a truly visionary business book. We have been designing our business, offerings, and strategic counsel based on it, so you know. Consumers spend 99% of their time researching before making a purchasing decision, and just 1% of their time online making the actual purchase. This means brands and companies have a greater than ever opportunity to reach out and help direct the buying decision by flawlessly identifying the target influence points along the way. It is more critical than ever to hold a customer’s attention and loyalty to create an ongoing relationship. Therefore, the online customer experience has to be rich and powerful, engaging and easy. Will it be driven by PR, Promotion, advertising and what is their future role in this? All these tools can lead horses to water, but making the horse drink is another matter. Analytics, strategy and deeper understanding of customer behavior will be ever more critical. It’s going to be really integrated customer engagement and service that will differentiate successful companies from the less than successful ones. Some good examples here are; Amazon, Dell Direct, Apple iTunes, and Zappos. Those that figure how to elegantly integrate social commerce channels and online commerce sites will win big. This is a fundamental change in the way business will be done, and how goods and services are moved, how money is made. EPR – Moving to current events, and since you guys are headquartered not far away, what’s your take on the G + versus Facebook engagement Jim? I mean, in your opinion is Google biting off too much, or is this kind of competition not only normal, but good? Jim Weiss – Competition is always good and Google had to do this, if for no other reason than to experiment in the social space and learn enough to invent the next big thing beyond Facebook. There will, of course, be a next big thing regardless. Some questions arise; “will Facebook become more like Google, or will Google be more like Facebook?” Will they merge a bit like Time-Warner? It’s possible all of the above can happen. The most exciting times are yet to come in the media business, and the services most relevant to driving commerce and revenue for clients will win, as they always have. EPR – I have asked every industry leader about their so called “lines in the sand” Jim, Ronn Torossian drew his company’s at taking on Gaddafi as a client, Scott Allison, of Allison & Partners, got slick a bit and parried that question a little. Is there an entity out there that WCG will simply not represent? Jim Weiss – Yes, and we have turned down some of those. While we have criteria, our simplest and clearest litmus test is “What would our Moms or our kids think or say if we worked for this client?” This makes it kid of easy to decide what to do, for me, for WCG. EPR – Since we are on current events, can President Obama emerge from these last 4 horrible political years unscathed? What do his PR advisors have to do? Jim Weiss – Of course he can, especially if the economy and stock market are doing well around the election time. If they are not doing well, then all the bad stuff will resonate, of course. If those metrics are improving, and barring any other unforseen disaster or scandal that might taint his administration, he should be able to overcome the past by focusing on the good signs and hope in the future. With very few good choices in the other party doing their best to be either boring, offering nothing news, and even messing up themselves, Obama’s PR team just has to hold the line and allow the competition to blow themselves up. EPR – There is always some role model or hero for any leader it seems, who was/is yours Jim? Jim Weiss – My grandfather on my mother’s side, the original Ad and PR Madmen of the 1950’s & 60’s like Ogilvy, Burson, Golin, Edelman, Ed Meyer, artists like Cezanne, Picasso and Matisse, and the old movie pioneers and agents like Thalberg, Mayer and Wasserman. EPR – Is there one solid piece of advice you can offer the “wet behind the ears communicator” Jim? Jim Weiss – Never settle for the status quo or make overly safe choices. Combine speed with thoughtfulness and you cannot go wrong. Learn how to type fast (as fast as you form thoughts is best) and as accurately as possible. Read and write a lot and consume a variety of media. Work on stuff you like to do, not only on things you have to. Be surious and a perpetual learner, always seek to surround yourself with smarter people than yourself. Don’t be afraid to be embarrassed or looking bad. Remember, nice is a four letter world as is real – be the one you want to be known for. Care about others and be present as much as possible. Most importantly, take care of your health, your life is the most important thing in your life. EPR – If I can get down to brass tacks with a last question Jim, just delving into WCG briefly, I was immediately taken by two aspects of your corporate culture. First, it seems clear to me your entry into the communications industry has been made easy as much by the inadequacies of other agencies, as by your own proficiencies – you even alluded to this variable in a recent video. Secondly, all of your corporate dogma, the congruent message coming from WCG is – digital is the new color TV – are these fair statements? Jim Weiss – When I’m asked “How did you do this?” My standard answer is “I never thought I couldn’t.” But, I have had moments of self doubt and insecurity, anxiety all along the way. It’s really the people that work with me and the clients with and for whom I work that always help me get beyond the negative times. The formula for success in my view is really simple, seek to become and remain the best by hiring the best people, doing the best work we can, working with the best clients and getting great results. If we do this, we will continue to be successful. I do believe our independence is a key factor, and many have come here because of this, believing we offer and deliver a truly entrepreneurial ecosystem that people seek these days in an uncertain world. This atmosphere is not for everyone, but those who have taken the leap of faith to work with me, and for WCGC, seem to have reaped positive rewards. Even those who leave here have looked back noting they learned something along the that has helped them. This is the best legacy and impact I can hope for. Jim Weiss’ company operates with an interesting (but actually logical) approach to communications. WCG’s 4 A’s are; Awareness, Assessment, Action, Assessment, and Ambassador. If you think about this for a moment, it’s easy to see 4 A’s is just an extension of digital engagement, the two way conversation – good PR practice set to online standards. Listen, strategize, engage, listen, expand the engagement. And like all company dogma, these simple principles are a reflection of a business’ leader. Weiss, so the reader knows, does what he says he will. I will offer a personal note here, for demonstration. Jim and I spoke via phone before I sent the written questions to him, a while back. One of the things he expressed, that was in line with my own thinking, was an ever growing respect for people who do what they say they will. Fast forward, Jim heads one of the busiest business enterprises in the world, time constraints being what they are – he has zero time. Jim has had the added burden of dealing with his father’s recent heart surgery, as anyone knows – a life changing set of circumstances. What I want to say is, “Thank you Jim for always doing what you say you will.” For me, just like I ask all these decision makers, coming through says it all – it’s the best PR on Earth. We hope you learned much from Jim Weiss’ view on these topics. We have many more of these talks done, and lined up to present for your interest. Please let us know your thoughts, it’s how we get better. Thanks again Jim, and best wishes to your father and your family.